Selling your home can take some real time and effort. Especially if you are looking for another property to buy. There’s nothing wrong with a slow sale, but it it is holding you up buying a piece of real estate, then it can get super annoying. It is also frustrating if you are selling the house to get some cash. The money won’t be in your bank account until the sale is complete. 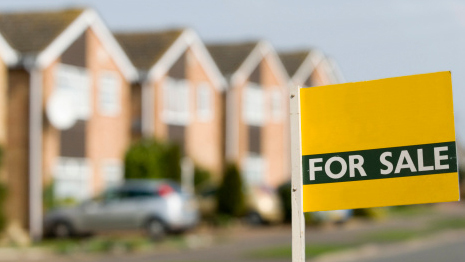 So, how do you make sure your property sells quickly? Here are some top tips. If you can afford to, you should lower the asking price. Even if your current price is similar to all the other similar homes for sale in your area, it will make a difference to knock off some dollars. People love a bargain, especially when it comes to real estate. And a house that is value for money is guaranteed to sell fast. That’s all because people will want to make it theirs before anyone else snaps it up! Don’t just stick a for sale sign up in your front garden. You will only attract passersby that way. To reach a wider audience, you should list the property with a real estate agent. But you can also go one better than this by placing an advert for it online. Web sites such as sell my house will add an ad for your home that includes the asking price, photos, and general information. If you want to increase the audience for the advert, share the link on your social media profiles. If a potential sale falls through, then there is no chance you will be getting a quick sale. Why do they often fall through? Usually, it’s because the agreements were only verbal. If the buyer thinks they have a seller, they may take their adverts offline and stop home viewings. But then once the sale falls through, they have to start all over again. So to speed things up, get everything agreed to in writing. This way, the buyer can’t go back on their word. Lawyers are another reason why property sales are often slowed down. Because they have a lot of different clients to work with, they might not prioritize all the documents you need. When you are looking for a real estate lawyer, let them know your intentions of a quick sale. That way they will know they need to be quick off the mark. This can work in their favor too – your case won’t drag out, and they can get someone new onto their books once your sale is complete! When potential buyers view your property, don’t make the house sound better than it is. And don’t try to cover up any structural issues. These will only come to light in the survey anyway. Once the buyer finds out about them, they may not want to buy the property anymore. And there won’t be anything you can do about it!